January 7, 2016 – This year, engineers will make important progress developing and testing the Orion spacecraft that will send astronauts to deep space destinations on the journey to Mars. NASA will mark critical steps necessary in preparation for both the spacecraft’s first mission to deep space atop the agency’s Space Launch System (SLS) rocket, and for future missions with astronauts. Here’s a look at some of the significant milestones and testing set for 2016. Once there, engineers will start testing the vessel to make sure the structure is sound and can endure the harsh conditions of deep space it will endure when it travels thousands of miles beyond the moon on the first integrated mission of Orion and SLS, known as Exploration Mission-1 (EM-1). Following a pressure proof test, the team will outfit the crew module with all of the avionics and systems the spacecraft needs before it can be integrated with the SLS rocket and processed for launch. The evaluation of the acoustic testing will determine if the method can produce enough energy to simulate the acoustic loads Orion will experience during launch and ascent on the SLS rocket. If the method proves to be an accurate representation of launch and ascent acoustic loads, it will be used to evaluate and verify Orion’s ability to withstand those loads for EM-1. NASA marked the arrival in November 2015 to NASA Glenn Research Center’s Plum Brook Station of a structural representation of the Orion service module provided by ESA and built by Airbus. In 2016, engineers will put the test article through a series of crucial tests to verify the structural integrity and ability to withstand the dynamic launch environment atop the SLS rocket. In February, one of the service module’s solar array wings will be deployed to make sure it unfurls and retracts properly. After that, the test article will move to an acoustic chamber at Plum Brook to be pummeled with noise that simulates acoustic energy seen during launch, and then moved to a mechanical vibration facility to simulate the shaking it will experience atop its rocket. 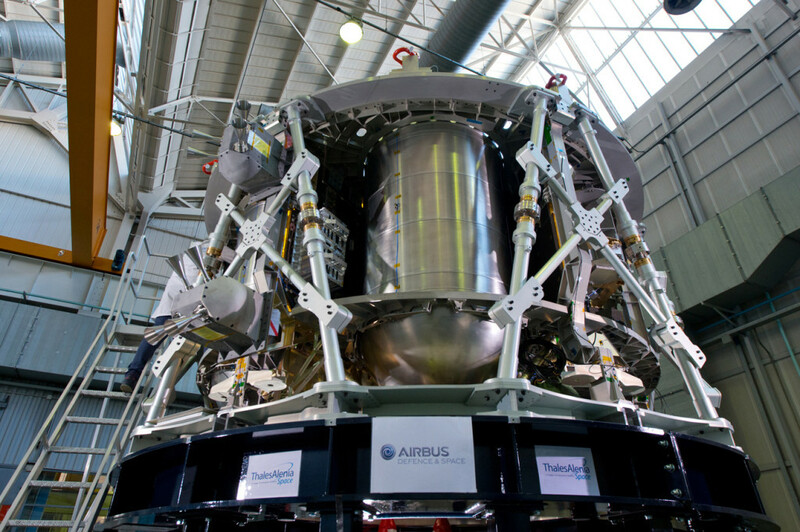 For the testing, the ESA-provided test article will be mated to a structural representation of the crew module adapter provided by Lockheed Martin. 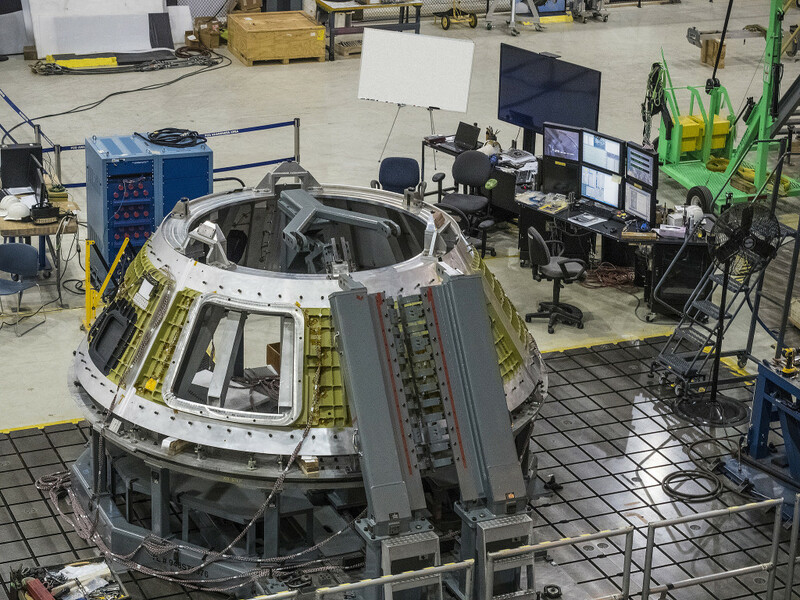 Engineers will make strides in 2016 to build the Orion for the first integrated mission of the spacecraft atop SLS, but they’ll also continue making progress preparing for future flights with astronauts. In the spring, at NASA Langley Research Center’s Hydro Impact Basin, NASA will mimic some of the most stressful water landing conditions Orion could experience with it returns from deep space and splashes down in the Pacific Ocean. 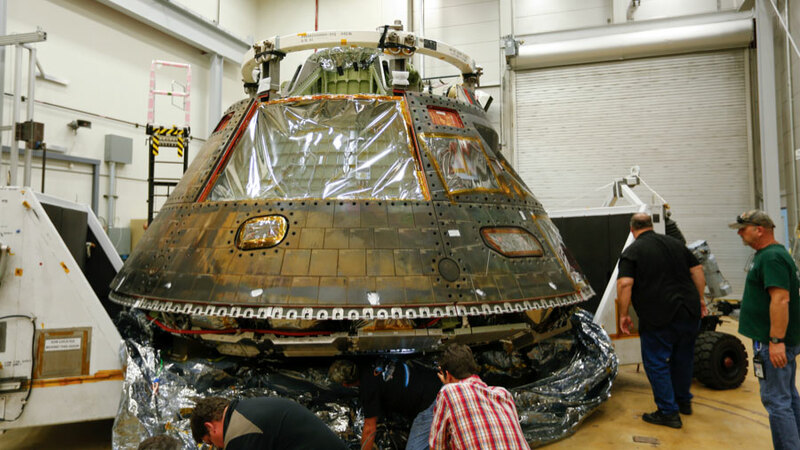 Langley engineers have outfitted a test version of the crew module with Orion’s heat shield that flew in space and two test dummies strapped inside to evaluate loads the crew may experience during real missions. Orion’s parachutes are essential to a successful mission, ensuring the capsule can slow down from its high-speed reentry to a relatively gentle 20 mph before splashdown. 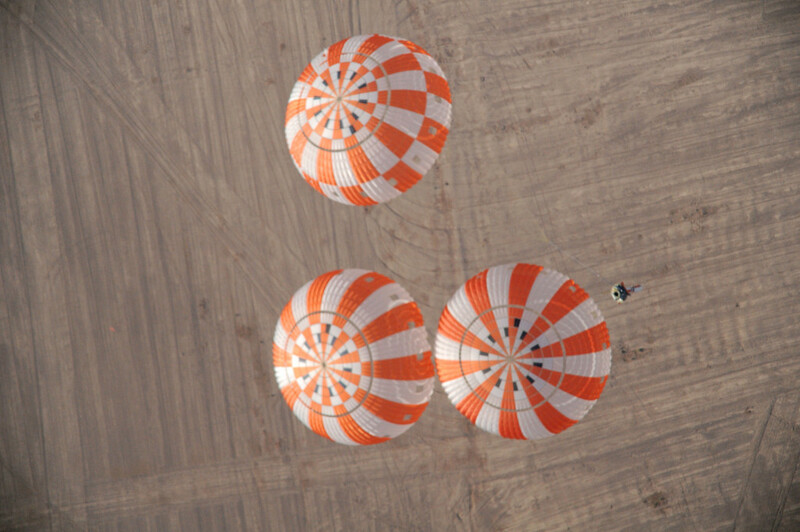 The Orion team has long been developing and conducting successful testing of the system of 11 parachutes in the skies above the U.S. Army Yuma Proving Ground and will begin qualifying the parachute system for crewed flights. The parachute team will begin the qualification tests this summer, which encompass eight integrated drop tests over a three-year period. 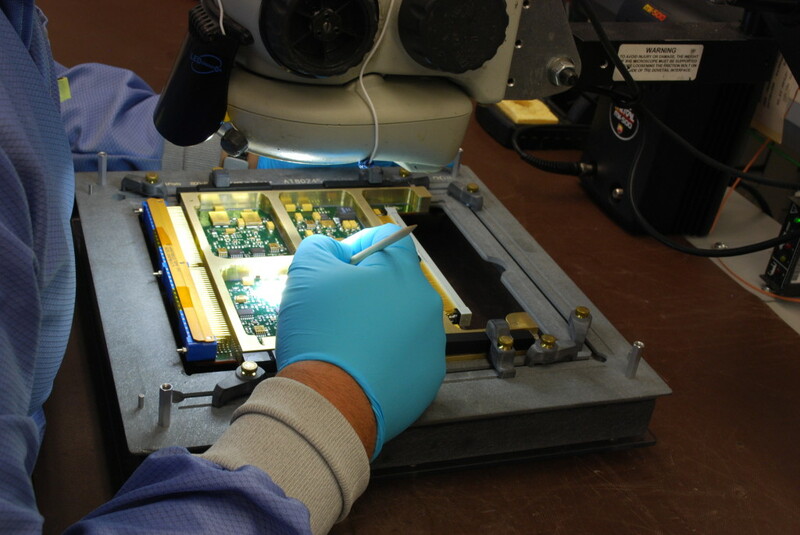 The hardware is undergoing many “test like you fly” demonstrations to ensure the success during EM-1, including tests of the most challenging mission and environmental requirements the spacecraft has ever seen. 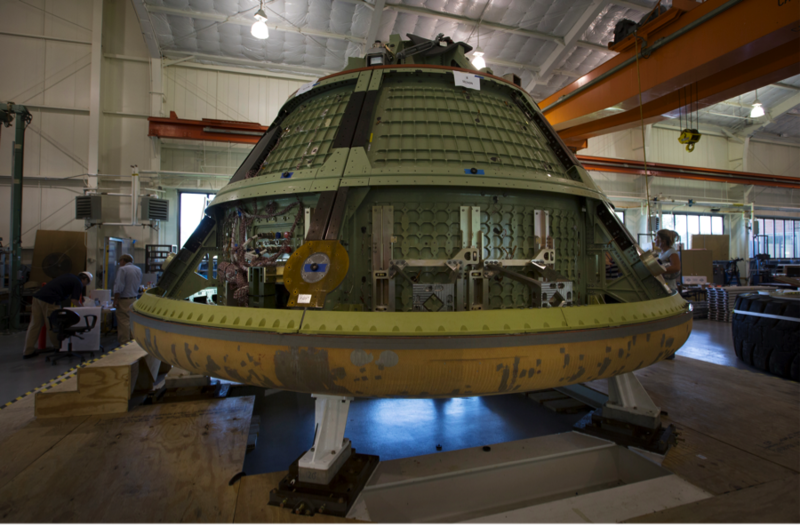 At Lockheed Martin’s Orion Test Lab in Littleton, Colorado, a full-scale Orion mockup is being used for integrated system level testing. The lab contains development copies of all EM-1 avionics, power and wiring hardware and will provide over a year’s worth of mission simulation testing and debugging prior to Orion’s power on at Kennedy.